#X582 on display, July 13, 2003. Paul Swanson photo. #X582 at North Freedom, c.1972. Jeff Haertlein photo. 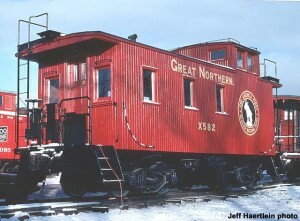 Caboose #X582, was built in Great Northern’s St. Cloud Car Shops, at St. Cloud, Minnesota between January 1 and August 6, 1925. 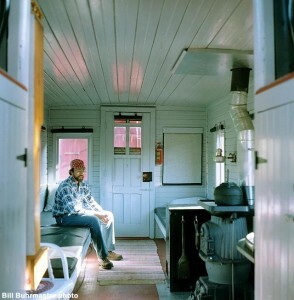 It was constructed at a cost of approximately $1,920.00 and was one of twenty-five cabooses built in 1925. 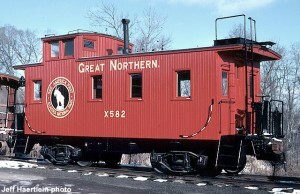 Originally numbered 90116, the caboose was renumbered to X582 in July of 1926, when GN integrated the caboose roster into the Maintenance-of-Way department. Between March and November of 1941, #X582 was extensively rebuilt to the present configuration. The car received extra windows, new trucks, and all-new iron work. 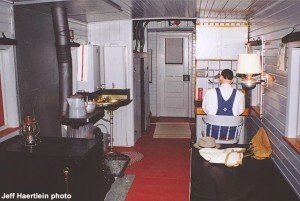 The interior arrangement was also significantly changed. 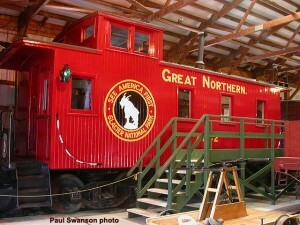 The most interesting feature of Great Northern caboose design is the full-width cupola. The vertical wood siding stays flush all the way up to the top of the cupola roof, resulting in a unique appearance. #X582 was used extensively in North Dakota on the Minot Division and finished its career in South Dakota in work train service. It was then returned to St. Cloud for disposition and later sold to the Minnesota Transfer Railway in November of 1963. 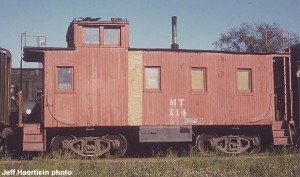 MT renumbered the caboose to X14. 1967, MT’s switchmen agreed to ride in engine cabs between Hennepin Avenue and New Brighton and within the yards instead of the cabooses. 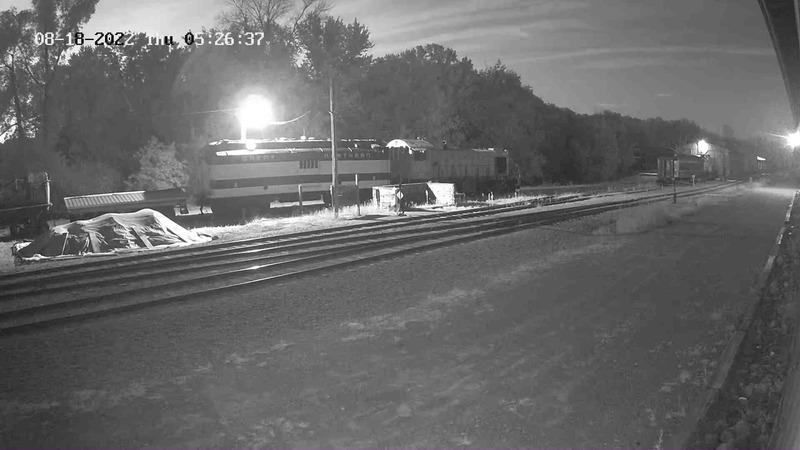 The railroad quickly saw the savings of not having to switch a caboose into trains, nor servicing them. 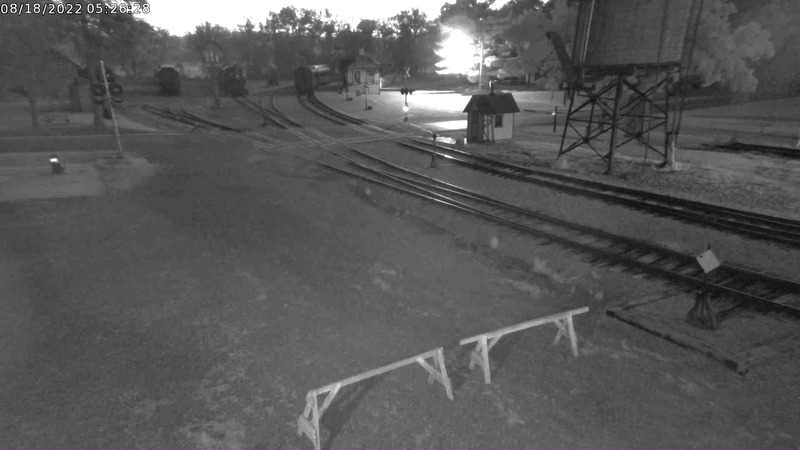 MT’s caboose fleet was retired. One by one they were either sold or disposed. In 1971, X14 was sold to a Mid-Continent member and moved to North Freedom in July. 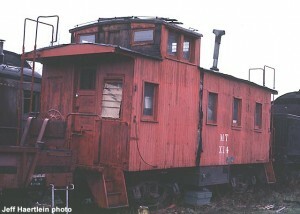 Its restoration took ten years, and the caboose was placed on display in the Coach Shed in 1988 where it remains today. Specifications for #X582: Length of car body: 25′-0″; Length over coupler faces: 33′-1 1/2″; Width: 9′-8 3/4″; Height: 14′-9″; Weight: 41,000 lbs.